Dhaka, July 30 (Just News): BNP on Monday alleged that the government and the Election Commission (EC) jointly staged a farce in the name of elections to Barishal, Sylhet and Rajshahi city corporations. 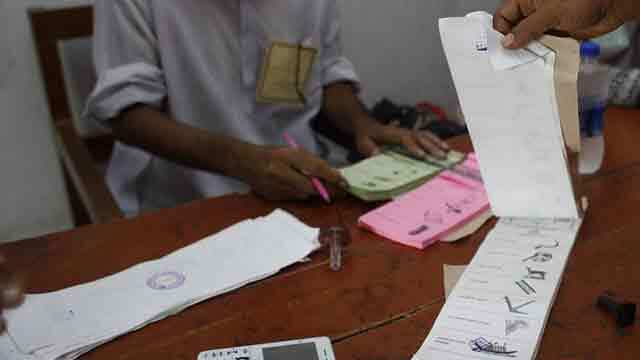 “It’s not voting, but a farce in three city corporations,” said BNP senior joint secretary general Ruhul Kabir Rizvi. Speaking at a press conference at the party’s Nayapaltan central office, he also said even Monday’s polls were worse than that of Khulna and Gazipur. The BNP leader alleged that ruling party supporters captured most polling stations in Rajshahi and Barishal while 90-95 percent centres in Sylhet. He said the Awami League activists indulged in vote rigging by driving out BNP candidates’ polling agents from most polling stations. Rizvi also alleged that law enforcers helped the ruling party men capturing polling stations and rigging votes. He came down hard on the EC, saying the Commission has manifested that it has been working as the government representative by holding farcical elections in the three cities. Asked whether BNP’s Barishal mayoral candidate Mujibur Rahman Sarwar boycotted the polls at the directive of the party high command, Rizvi said local party leaders took the decision observing the election atmosphere. He said their party secretary general Mirza Fakhrul Islam Alamgir will come up with a formal reaction to the three city polls on Tuesday. At a press briefing earlier in the morning, he alleged that the ‘naked vote rigging by the ruling party has got exposed in the three city corporations. He also said the Election Commission’s inaction has encouraged the ruling party men for indulging in the vote rigging. “The Election Commission has now become a parasite by giving up its power and authority. We think the Commission itself is now an opponent of fair polls,” Rizvi added. The BNP leader also said there will be no fair and credible election in the country as long as Awami League is there in power.